The Franklin Downtown Partnership plans a jolly evening for its fourth annual Holiday Stroll on Thursday, November 29, from 4 p.m. to 7 p.m. Santa, Mrs. Claus, and several elves will make appearances around town, and there will be tree lightings, carolers, refreshments, entertainment and more for visitors this year. The Stroll will begin with a tree lighting ceremony at 4 p.m. in front of Dean Hall on the Dean College campus. Carolers in period costume will lead holiday songs and refreshments will be served. 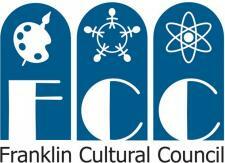 Holiday revelers are invited to bring a donation for the Franklin Food Pantry to the event. The FDP and the Franklin Food Elves will be kicking off the “12 Days of Donating” campaign to benefit the Food Pantry with drop-off bins located at the tree lighting ceremony and throughout the downtown. “We are happy to work with the Franklin Food Elves again this year,” says Roberta Trahan, Stroll co-chair. “The Food Elves hope to beat last year’s collection of more than 2,000 pounds of food and $4,000. In total that provided the Food Pantry with approximately 17,000 meals last winter and was a tremendous help during a critical time.” This year the Food Elves’ sponsors and drop off locations will include Berry Insurance, DCU, Dean Bank, Dean College, Emma’s Quilt Cupboard, the Franklin Downtown Partnership and Jane’s Frames. After the tree-lighting festivities, visitors can stroll through downtown to admire the festive window decorations and stop in at more than 25 participating businesses for special treats, entertainment, demonstrations, crafts and shopping discounts. A complete listing of businesses’ special offers will be available at each participating location. Dean Bank will have a tree lighting ceremony of its own at 4:45 p.m. followed by a unique performance by the students of the Mount St. Charles Hand Bell Choir. The bank will also be bringing back last year’s popular Gingerbread Man Decorating activity. Santa will hear children’s wish lists at Simon’s Furniture from 5 p.m. to 7 p.m. Meanwhile, Santa’s Workshop, complete with letters to Santa and crafts, will be set up at Rockland Trust, and Mrs. Claus will be sharing cookies and stories with children at the Historical Museum. Milford radio station WMRC 1490-AM will play holiday music and broadcast live from the Berry Insurance lot, and local singer/songwriter Jamie Barrett will entertain crowds at Jane’s Frames from 6 p.m. to 8 p.m. The Fire Station will have a fire engine ready for kids to climb on and offer holiday safety tips for the adults. DCU and Dean Bank are the Gold Sponsors of this year’s Holiday Stroll. D.G. Ranieri Real Estate, Franklin Local Town Pages and Middlesex Savings Bank are Silver Sponsors, and the Franklin Girl Scouts of Eastern Massachusetts and Simon’s Furniture are Bronze Sponsors. For more information about the Holiday Stroll or if you would like to be a sponsor contact co-chairs Cindy Kozil, ckozil@dean.edu, or Roberta Trahan, roberta_icu1@verizon.net. Lisa Piana at (774)571-3109 or downtown.franklin@yahoo.com.